3 Comments on Save the bees! Some of our best friends are bees. (And worms!) But we’re losing them, faster than many of us realised. So I signed a petition in the weekend, along with a half million others. Let’s save the bees! It’s all about chemicals. Getting them out of our food chain and getting the bees back in. If enough voices are raised our governments will hopefully act to ban the chemicals that are doing the damage. Here’s the message from Avaaz, the guys trying to get the movement off the ground. (Read on to the end and there’s a list of links to articles and other info on the situation). 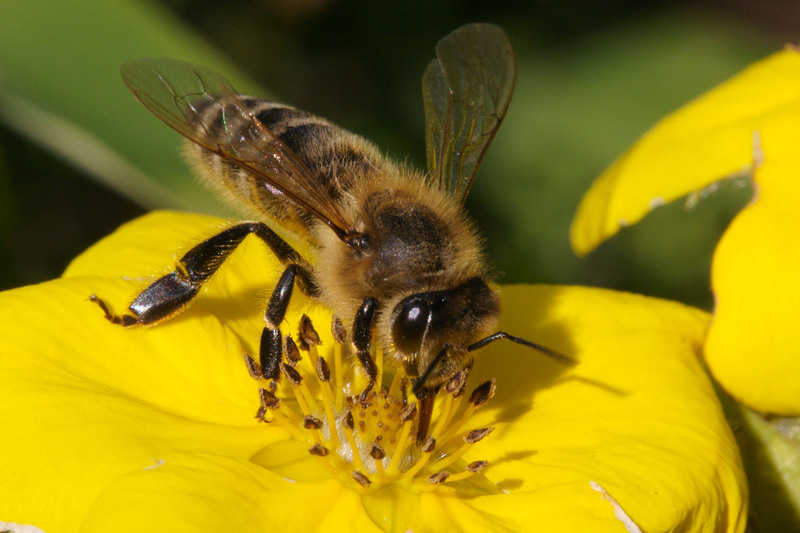 Bees are dying off worldwide and our entire food chain is in peril. Scientists blame toxic pesticides and four European governments have already banned them. Multiple scientific studies blame one group of toxic pesticides for their rapid demise, and some bee populations are recovering in countries where these products have been banned. But powerful chemical companies are lobbying hard to keep selling these poisons. Our best chance to save bees now is to push the US and EU to join the ban — their action is critical and will have a ripple effect on the rest of the world. Isn’t it also about fpod and habitat? There was an article about this recently concernIng London: people are installing hives in London because it’s been presented that there are good food sources in parks and gardens. But there are now more bees than food and hives that are on rooftops take too much energy from the bees who have to fly up to them. If someone’s going to take on bees then they should also contribute to food and habitat resources otherwise it’s trying to take something for nothing- and it’s the bees who suffer! Next Entry What more could a gardener wish for?